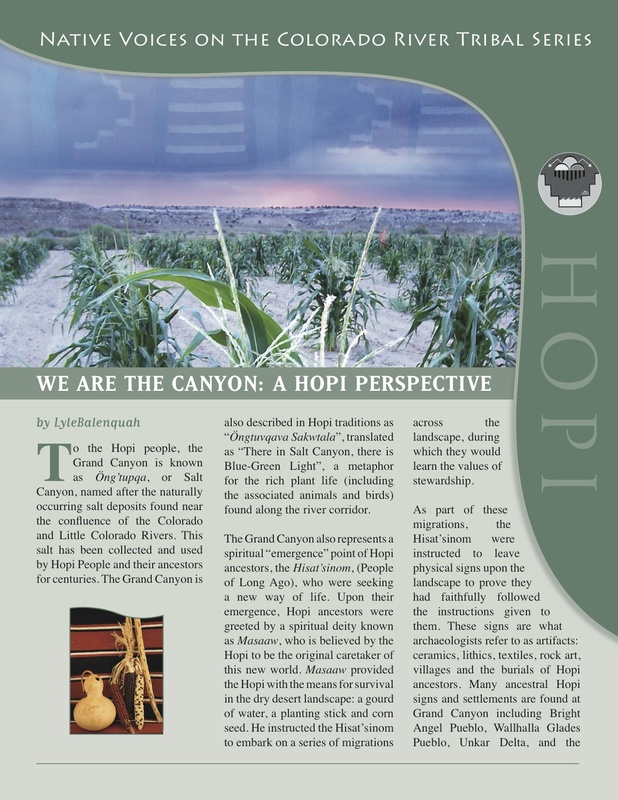 Through the Native Voices Program, representatives from culturally affiliated tribes share their respective tribal perspectives and histories of the canyon and river. Also discussed are contemporary views of tribal economies, cultures and issues. Keep in mind there are many voices, opinions and perspectives in any given tribal community, as well as many resources that can be used to help increase our collective knowledge. What is presented here is but a small fraction of the wide spectrum of traditional knowledge that each tribe maintains as part of their culture. The Directors acknowledge that it is impossible to fully present all of the traditional knowledge, either due to specific cultural boundaries prohibiting certain information being made public, or simply due to the complex and highly detailed nature of this knowledge. The Native Voices Program, along with our tribal partners, offers this information in the spirit of respect, good-faith sharing and learning. 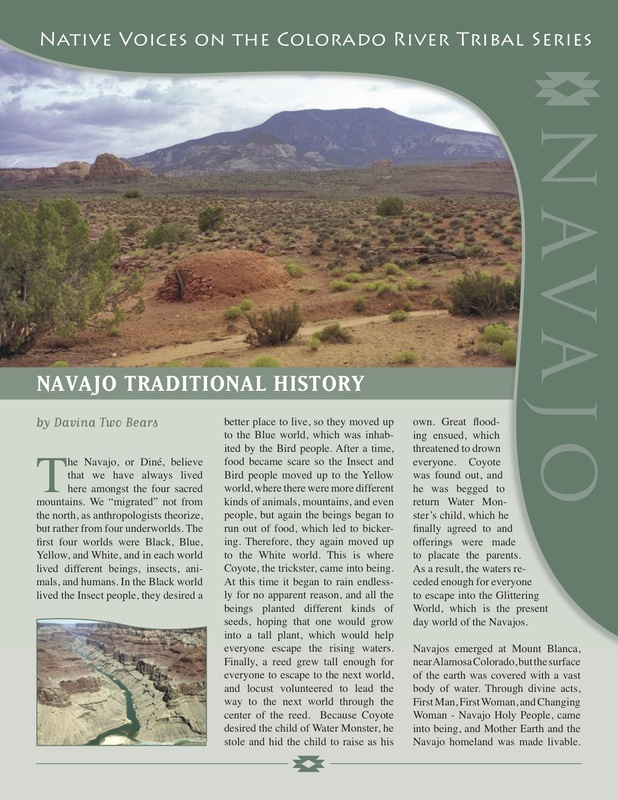 This is a collection of newsletters designed as one – two page information newsletters about tribal cultures and their relationships with the Grand Canyon. 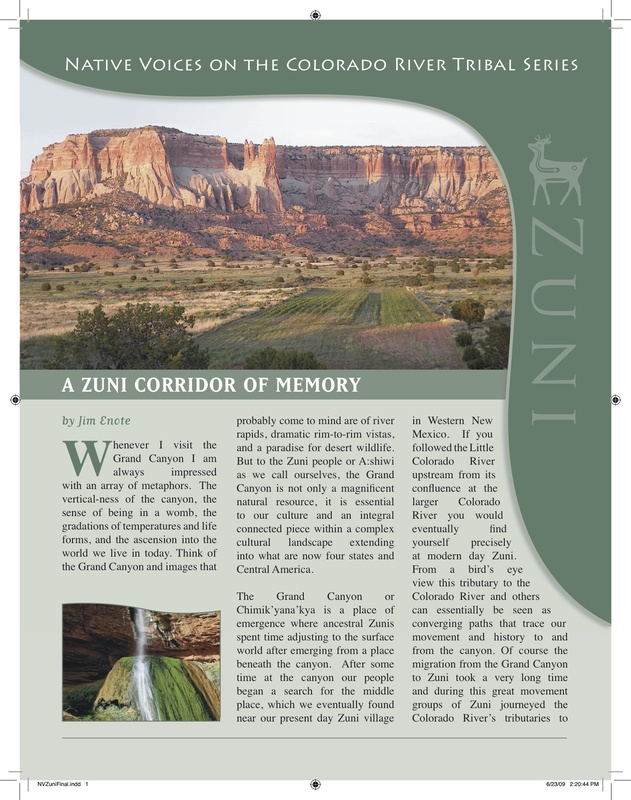 Click on the links below to access a PDF file of the newsletter. Stay tuned for more tribal series to come.